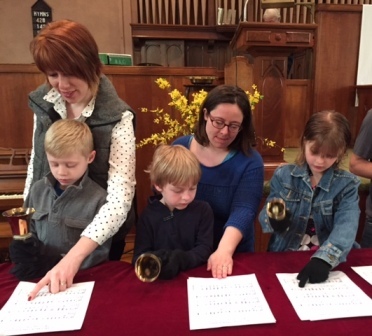 Making a joyful noise, our music program is truly unique and ranges from bluegrass to classical organ music. An occasional youth worship band provides a contemporary touch and everyone is invited to participate in vocal and bell choirs. Every week, a different ensemble of talented volunteers contributes to the worship experience. We are also fortunate to have two professional accompanists, Peter O’Connor, a jazz pianist, and Laurel Buckwalter, a trained organist.